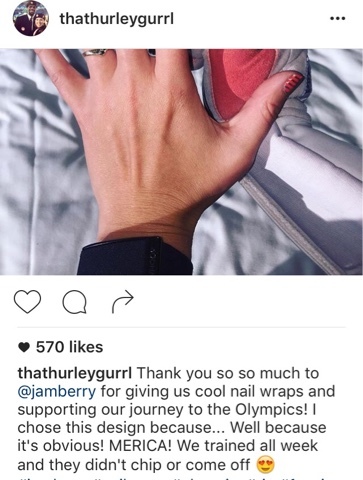 Emma in Bromley: Olympic Nails - What do Olympic Athletes Have to Say About Jamberry Wraps? 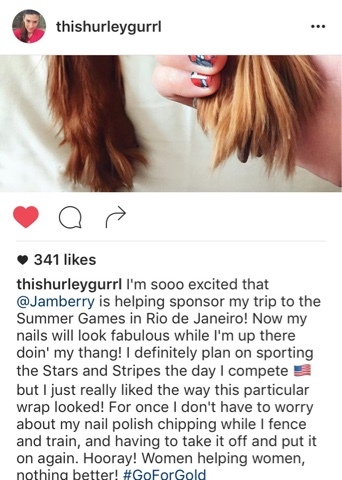 Olympic Nails - What do Olympic Athletes Have to Say About Jamberry Wraps? 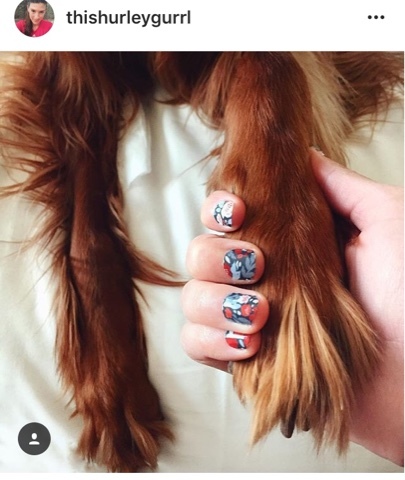 Have you seen these beautiful nail wraps from Jamberry -easy peasy to apply yourself at home with a hairdryer (or better yet, a Jamberry mini heater!) they last for 2 weeks on fingers (a month on toes!) have a free from nasties formular, gluten free and vegan friendly! 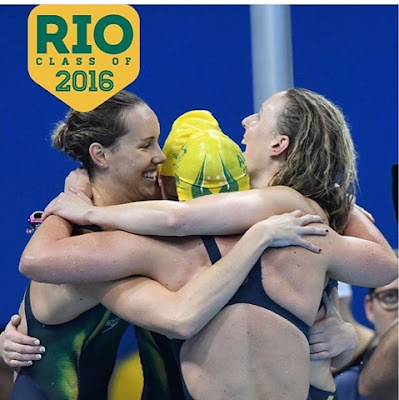 As worn by actual real Olympic athletes competing right now in Rio! 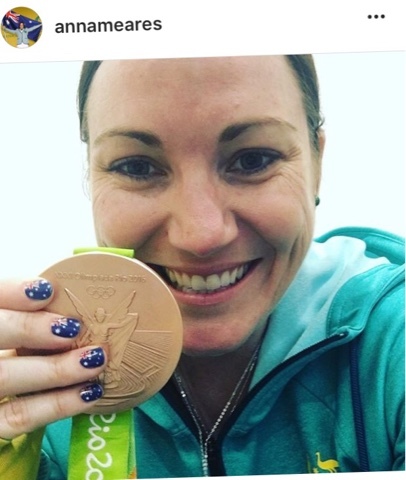 Jamberry wraps and her medal! 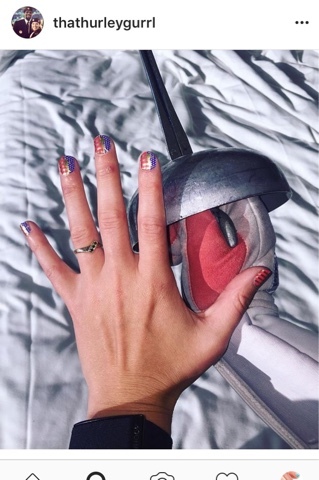 Hope to spot some more nail wraps on olympic athletes to share with you! In the meantime, I'd love for you to have a browse and let me know which wraps you love - over 300 designs to select from, and each pack comes with enough nail wraps to do 2 full manicures, 2 full pedicures with plenty of left overs for accent nails! 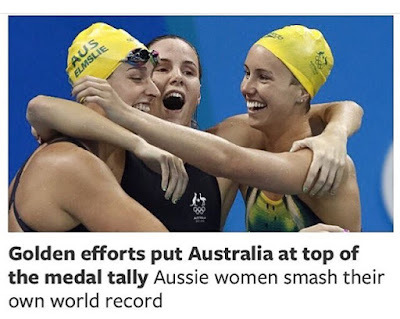 Available now in the UK, US, Canada, Australia and New Zealand. 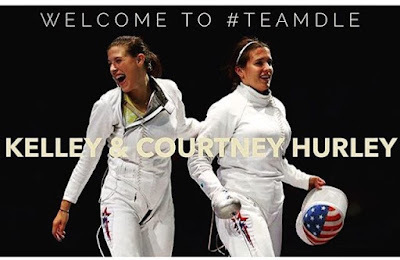 Coming soon to Mexico.